16 Roof Terraces Worldwide You Have To See! Where’s Your Dream Summer Destination? Poolside, Caribbean cocktail in hand, surfing across beautiful, frothy waves in Hawaii, or whiling away a sunset on a roof terrace overhanging city lights? I could happily indulge in all three, but found myself with plenty of opportunity to sample the latter last year, hopscotching from roof terrace to roof terrace across Madrid. What’s So Heady About Being On A Roof?! The best thing about rooftops is the sense of space and freedom that you find high above the crowds of craziness down below. Peaceful, glamorous (and sometimes with a price tag to match), these treasures really are some of my favourite places on Earth. What’s more, they usually come with cracking views over beautiful cityscapes and warm, starlit climates to match. Romance at its best. Searching For A Cure For the Monday Blues? This is a beautiful slide show from Architectural Digest, featuring some of the world’s best designed rooftops. From Miami and Mumbai to Madrid, Chamonix and Paris, these are high points in more ways than one. This entry was posted in Chamonix, Chamonix, Chamonix, Countries, France, France, Las Huertas, Las Huertas, Madrid, Madrid, madrid, madrid, madrid, Madrid, Paris, Posts, Restaurants, restaurants & cafes, Reviews, Spain, Spain, Travel and tagged chamonix, roof, terraces, travel on February 2, 2015 by Melanie Pritchard. 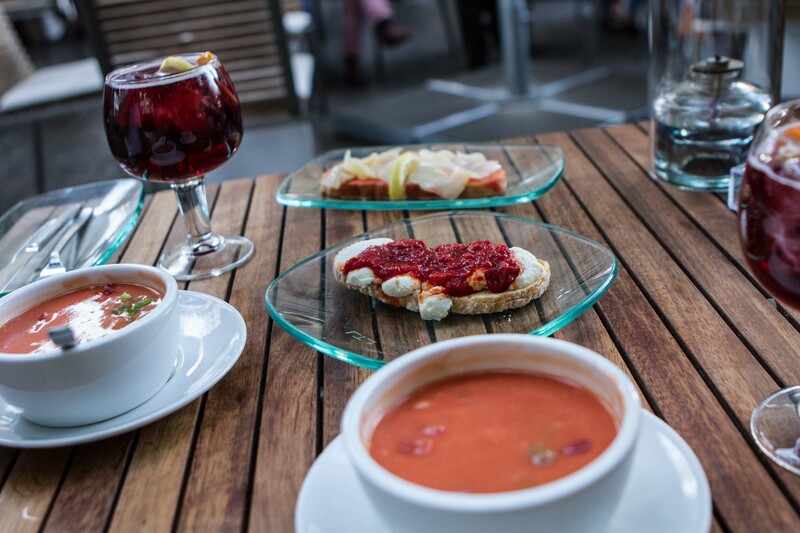 One of the most well-known tapas joints in Madrid, Lateral’s terrace in Plaza Santa Ana is a truly pleasurable place to while away an evening. A top of the range chain with a distinctly ‘unchainy’ feel, Lateral is located throughout Madrid, including the popular Calle Fuencarral in Malasaña. Understated, chic and well-run, Lateral is great value with a diverse choice of tapas to boot. While it may be known for its top quality Tortilla, there are many other delicious dishes to choose from, from the Murcia Blood Sausage (a personal favourite a bit like black pudding), the OxTail, the Avocado and Salmon or the Pork with Melted Brie. Add a Tinto de Verano or a generously sized Gin and Tonic to the mix and you have the perfect feast. If al fresco’s your cup of tea, this is the crème de la crème. Slatted wooden tables sit beneath a discrete cream canopy with flame heaters to keep you snuggly. With buzzers table-side, there’s no escape for lazy waiters who are, quite literally (or perhaps more aptly, laterally), at your beck and call. If tapas isn’t enough for you, you can chose from an array of desserts and cocktails. 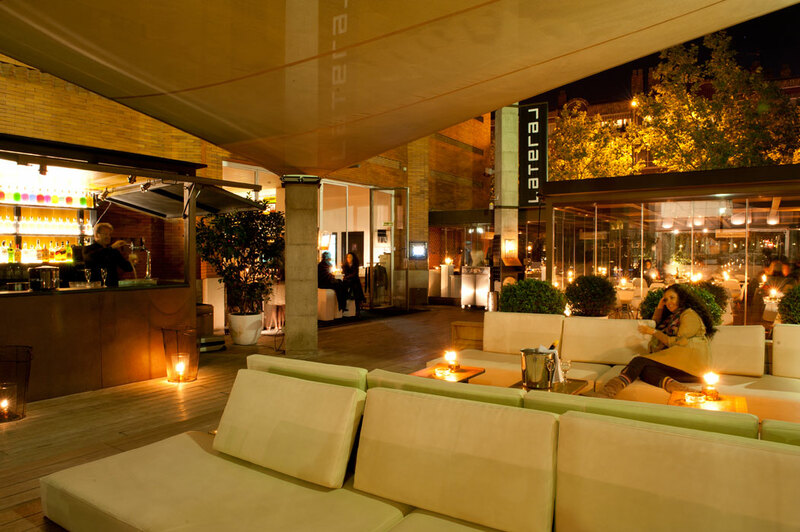 Situated in the heart of possibly the prettiest square in Madrid, there are bars aplenty for after dinner digestifs or rooftop glamour atop the famous ME Hotel (next door). Well-located, scrumptious and beautiful, this is a great stop for visiting friends and family. 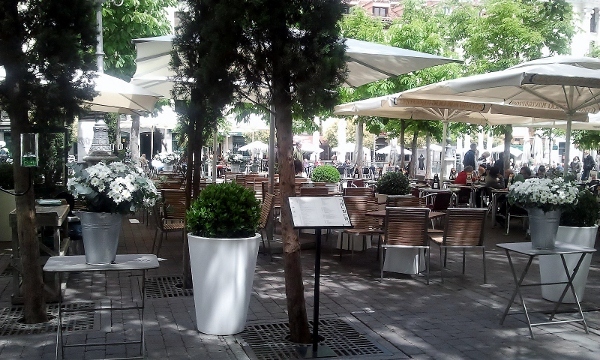 This entry was posted in Cafes, Las Huertas, Las Huertas, Madrid, Madrid, madrid, madrid, madrid, Madrid, Posts, Restaurants, restaurants & cafes, Reviews, Spain, spain, Spain, Travel and tagged lashuertas, lateral, madrid, restaurant, tapas on December 18, 2014 by Melanie Pritchard. 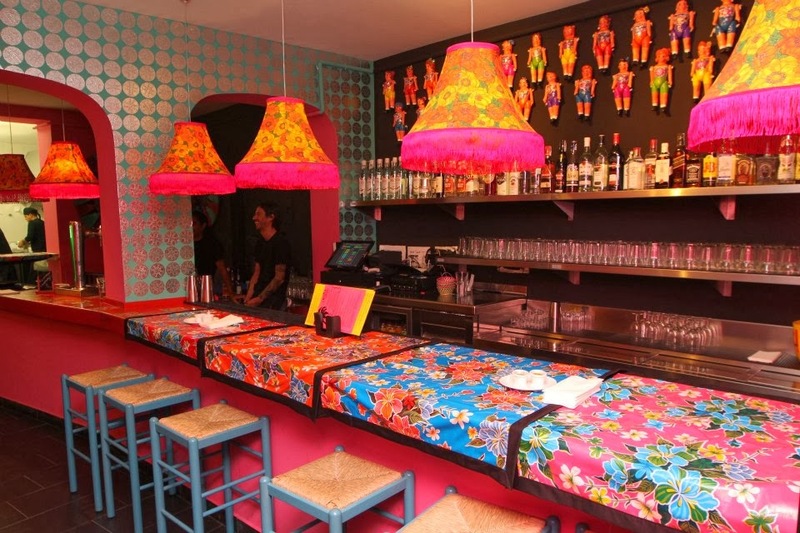 If you like cheap and cheerful Mexican food in vibrant surrounds, give La Rosa Negra a whirl. Think rainbow decor, statement sombreros and a menu to make your mouth water and you’re on the right track. Sandwiched between Calle del Prado and Calle de las Huertas just a stone’s throw from Anton Martin Metro, this is an easy to reach little gem. 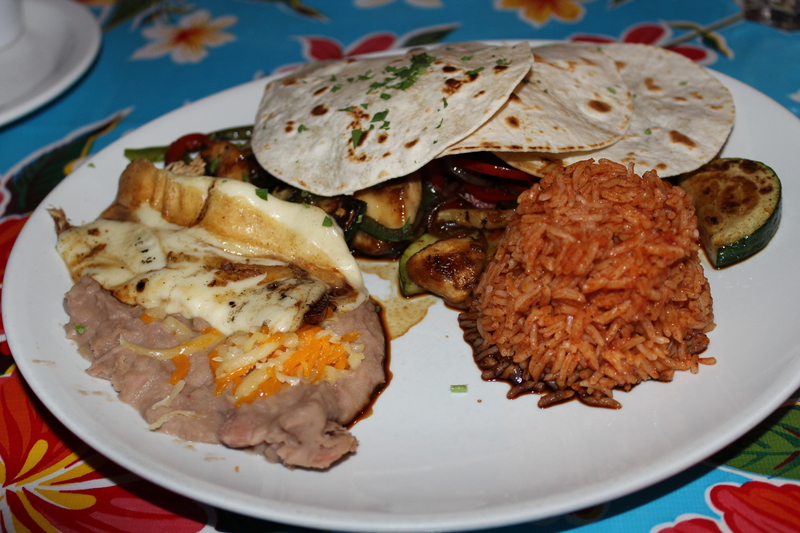 The menu is full of Mexican classics with dishes ranging from smaller bites such as Guacamole and Nachos to larger meals of Burritos and Tacos. There’s also a delicious range of cocktails on offer from Caipirinhas and Daiquiris to Mojitos and Margaritas. I love their delicious Tacos and Passionfruit Daiquiris and would also highly recommend their zingy Margaritas alongside the scrumptious Chicken Burritos - the ideal mix of the spicy and refreshing. Jamie Oliver would probably describe this as good, honest food. The presentation is simple but it tastes great, is good value and is served with mega-watt smiles. I’d definitely recommend this joint if you’re after a vivid, fun-filled break from tapas. This entry was posted in Countries, Las Huertas, Las Huertas, Madrid, Madrid, madrid, madrid, Madrid, Posts, Restaurants, restaurants & cafes, Reviews, Spain, spain, spain, Spain, Travel and tagged #mexican #food #la #rosa #negra #yummy #madrid #lashuertas on December 9, 2014 by Melanie Pritchard.